The USGA is inviting comments on its proposed Rule 14-1b, which would ban the anchored putting stroke. The comment period ends on February 28th. My comment, which I sent off yesterday, is printed below. PO Box 708, 77 Liberty Corner Rd. This note is my comment on proposed rule 14-1b which bans the anchored putting stroke. I am opposed to the ban. 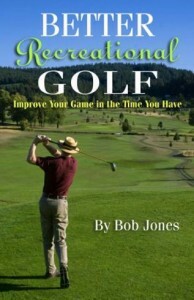 Golf is a game played primarily by millions of recreational players worldwide. They come in all ages, and all physical capabilities and conditions. The combination of the long putter and the anchored putting stroke has enabled many people to play the game enjoyably who would otherwise play in discomfort or not at all. This combination has also made a difficult game a bit easier to play; not a cakewalk, by any means, but a more approachable game in which beginners can achieve a satisfying level of success in a relatively short time. 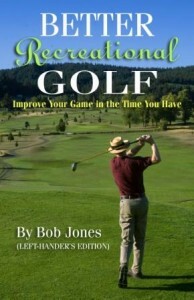 It is recreational golfers that the rules of golf must accommodate. They are the game, not the handful of gifted players who compete at the highest levels. For those millions, the anchored stroke is not a corruption of the game’s principles or its intent. It is a way for them to have as much fun as they can. We’re not asking for a different set of rules, but the preservation of the current ones. There is no point in changing the rules to make the game harder. Whether anchored putting contributes to golf’s growth is debatable, that banning the anchored stroke might well diminish it is not. I can easily foresee golfers with a marginal commitment to the game or physical handicaps quitting over this. It seems the main argument brought up by the R&A and the USGA that the anchored stroke is a violation of the traditions of the game, that “a player should hold the club away from his body and swing it freely.” (Golfweek, December 7-14, 2012). That’s a tradition of the game because it’s a law of physics. If you want to hit a ball sitting on the ground a long way, you have to rear back and whack it. I suppose if someone wanted to have a belly driver with a 60” shaft (yes, I know the rule on shaft lengths) and swing it with an anchored stroke, they might be able to hit the ball 100 yards. We swing freely because that’s the only way to hit the ball and get anything resembling distance. Putting, however, is not a distance stroke. It’s a finesse stroke. There is no need for it to be a free-swinging stroke. The anchored stroke is not part of golf’s tradition only because no one thought of it until recent times. But then, metal and graphite shafts aren’t traditional, either, as are not metal-headed drivers and moderns golf balls. The sand wedge and the Schenectady putter were nontraditional when they were introduced, but golf survived quite well following their acceptance. Anyone been stymied lately? It appears that golf’s rule-makers are being selective today as to which traditions they feel are necessary so the game can “sustain itself” and which are not. There is an “unfair advantage” argument that you hear. If you think anchoring gives other golfers have an advantage, than you can start anchoring, too. PGA members who anchor have not taken over the top rankings in putting statistics, nor are they even close. No advantage that I can see there. If one of my playing pals switches to an anchored stroke and lowers his handicap by four strokes, I’ll be nothing but happy for him, because he’s having . . . more fun. There is also the “nerves” argument, that the anchored stroke takes the nerves out of the game. Well, it doesn’t, and even if it settles them down a bit, recreational golfers don’t play golf to test our nerves. We’re not in competition. We’re out there to have fun. So. To summarize. 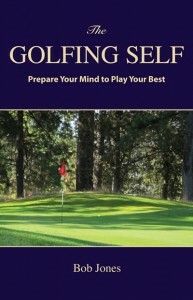 Golf belongs to the millions of recreational players, not the handful of professionals. We play golf to have fun. Anchored putting lets many of us not only have fun, but play the game, period. Let us keep this part of golf that does no harm to anyone or to the sport, but does many of us a world of good. Anchored putting so far hasn’t been the killing blow to recreational golf and it won’t be if it is allowed to continue. Rule 14-1b is a solution to an imaginary problem. Let’s keep the rules just like they are now.